A barge TB Marina carrying 7,000 tons of coal submerged in the waters of Aceh Besar district on Monday, July 30, around 09:00 local times. 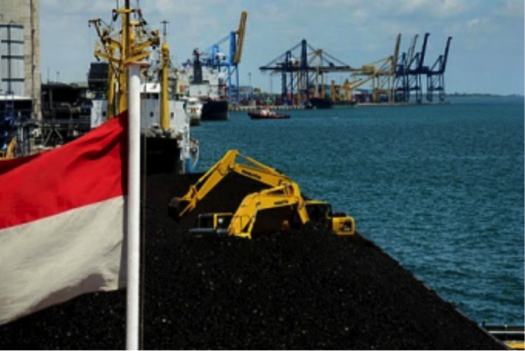 Ridwan Jamil, the head of Aceh Besar Regional Disaster Mitigation Agency (BPBD), said the ship was slated to distribute the coal to PT Lafarge Cement Indonesia in Lhoknga subdistrict. However, the ship sank right when it started to lean on the dock of the company. “The barge carrying coals is slammed by waves, and a few numbers of coals fall to the waters,” Ridwan said, as quoted from Bisnis.com, on Monday, July 30. Aceh Besar BPBD was currently investigating the incident along with related stakeholders. Fortunately, all the ship crews survived. Due to the incident, many sea creatures were found dead on the coastal beach such as fish, crabs, starfish, and eels between the coals that were stranded. Meanwhile, the Coalition of Aceh Marine Advocacy (KUALA) urged the company’s responsibility in light of the coal spill. “We demand the ship's owner recover and clear the coal materials [in the waters],” said KUALA secretary Rahmi Fajri.